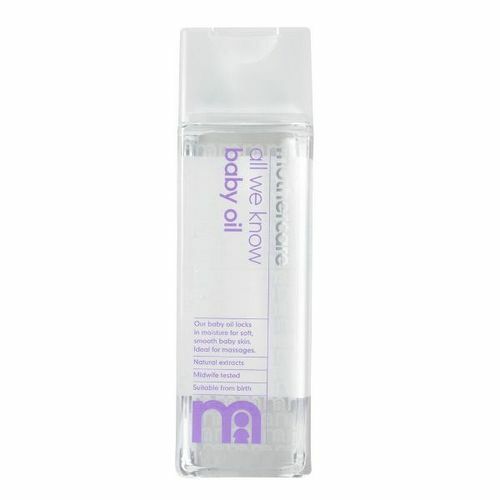 Mothercare's All We Know Baby Oil locks in moisture for soft, smooth skin and is ideal for massages. It's a blend of natural ingredients that's hypoallergenic and has been dermatologically tested to make it perfect for your baby. Explore the entire range of Creams, Lotions & Oils available on Nykaa. Shop more Mothercare products here.You can browse through the complete world of Mothercare Creams, Lotions & Oils .